Even if you are not a car enthusiast, you have probably heard about AMG. It was a renowned Mercedes tuning department responsible for some of the fastest and coolest Mercedes cars ever made. But if you are a car fan, AMG is much more than just three letters. It is a legend among tuning circles and one of most successful outfits in car industry ever. This is the company that started from a humble workshop. It went on to conquer the automotive world with its fantastic products, quality and power. The legend of AMG starts in 1967 when friends and ex-Mercedes engineers, Hans Werner Aufrecht and Erhard Melcher formed a small tuning and repair shop near Stuttgart. They called the company AMG by taking the first letters of each last name. They added “G” from the first letter of Grosaspach, where Hans Aufrecht was born. The only thing that set the AMG apart was the vision of the fast three-pointed star cars which the two friends shared. Back in the day nobody tuned Mercedes cars. Mercedes was considered a comfortable and luxurious automobile with strong but not sporty engines. 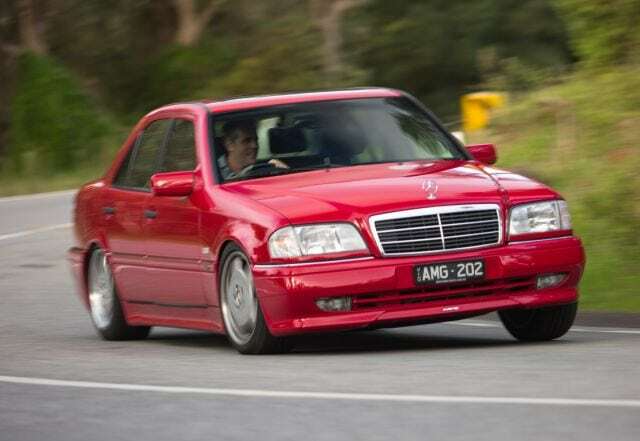 But that was to change soon when AMG entered the world of tuned cars in a big way. This list contains the best and most important AMG models that helped Mercedes cement its position in the market. They won numerous races that turned AMG from a small workshop in rural Germany to a world-famous, respected name in tuning. Back in the late 1960s, Mercedes took a big leap forward by introducing a 300 SEL 6.3 version of their luxury sedan, the W109. This was arguably the first power sedan for the company. It had a mighty 6.3-liter V8 engine with 250 HP and 434 lb-ft of torque under the hood. This engine transformed the slow and stately-looking sedan into a real hot rod that could outrun the Porsche 911. However, that was not good enough for AMG. In early 1971, the AMG team started preparing their version of 300 SEL 6.3 with the intention of racing. First, AMG stroked the engine to 6.8 liters of displacement to get over 420 HP out of it. Second, they made room for big rear tires and put a roll cage inside. They even left the rear seats in. They named the red 300 SEL with the 6.8-liter engine the Rote Sau, meaning Red Pig. This was because it was big, heavy and red in color. The car had a lot of potential despite being the total opposite of a regular racing car. The biggest success that opened the door for AMG was 24 Hours of Spa in 1972, where Red Pig finished second overall, which was a fantastic success and the biggest surprise of the racing season. Making second place meant that an almost amateur racing team with a heavy sedan with rear seats still managed to beat numerous factory racing teams and professional drivers with those specially prepared racing cars. Clearly, the guys at AMG had a great idea.